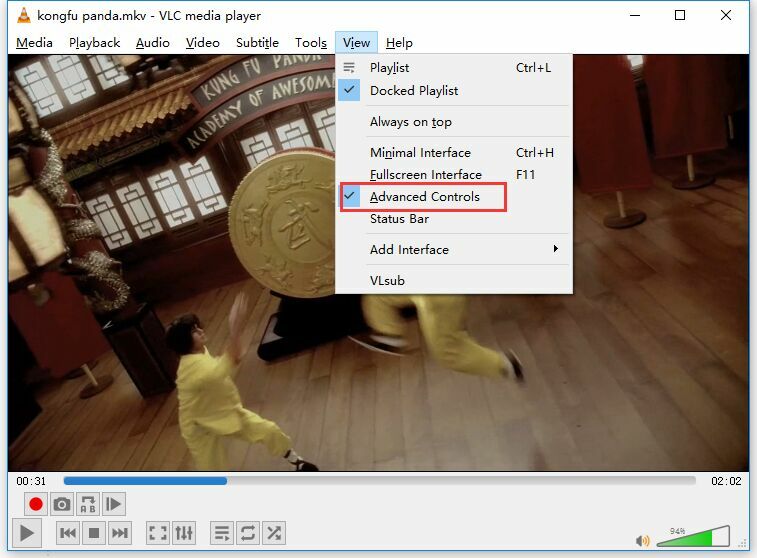 VLC is a powerful and well-loved application, but few users realize it can do more than just play files. If needed, you can easily convert video from one format to other. Besides that, it can also be used to reduce video size for when you need to shrink videos to fit in your mobile devices. 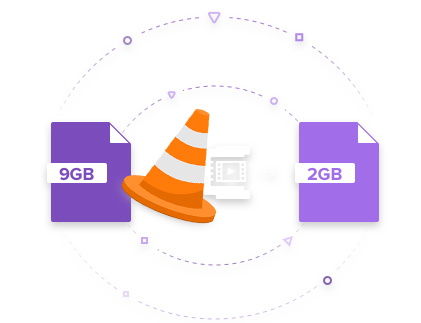 Here I will introduce VLC video compression function to help you learn how to use VLC reduce video size as well as the best VLC alternative to compress video professionally for your reference. 1. The first thing you need to do is to download VLC Media Player (make sure you download the right version according to your computer system) or simply open it if it's already installed. Then click on Media in the menu bar. 3. Click on the Add button on the right of the File selection box to load the video whose format you want to change. And then click on Convert/Save button. 4. In the Profile selection option, select from a pre-configured profile of the output. Different video parameters like frame rate, resolution, etc. also influence video size. So to gain more space on your memory device and make easy to upload to any website like YouTube is to change the video parameters like frame rate, bitrate. Click on Settings under profile section and then click on Video Codec tab and enter the height and the width of the video, please keep in mind that the the aspect ratio should be the same as before to keep the better quality. And the key influence factors of minimizing video size is the bitrate and the resolution. 6. Finally, click on Start to begin conversion. VLC's progress bar will show progress. Do not close the player when it is converting videos as it will result in output video getting corrupted. Step 3: The video will save automatically in Library > Videos. Indeed, VLC Media Player is one of the best free video players, but it's not the best video reducer that only uses some basic settings instead of advanced settings to reduce video size. Therefore, we recommend a better resizing as an alternative: EaseFab Video Converter, the all-in-one video conversion, compression, recording, playing, editing and more. * Reduce video size more efficiently than VLC video compression tool. * Facilitates changing file parameters like bitrate, frame rate, resolution, and quality to resize video. * Allows to crop or trim video to reduce the size. * Comes with pre-defined formats compatible with an array of devices. 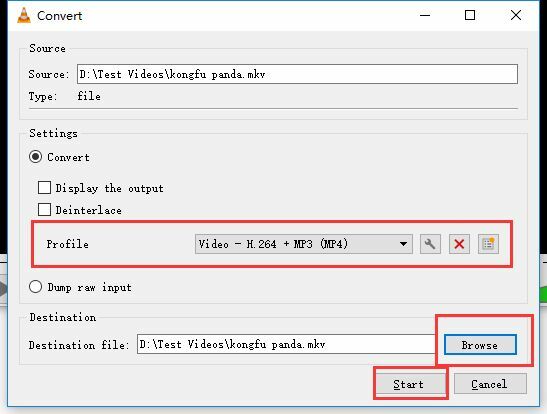 Download the launch the video reducer and then click Add Video button to browse and import the video file you want to reduce to the program. You can also directly drag the video file into the program. 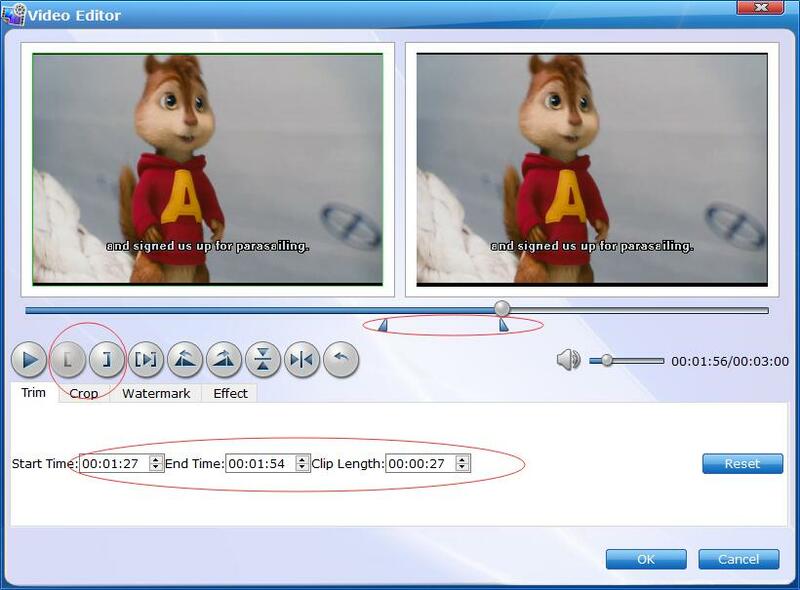 With EaseFab Video Converter, you can downsize your video through 3 aspects: choose a video format with smaller size, trim or crop your video with smart editing features, and adjust the video parameters like resolution, frame rate, encoder and more. 1. 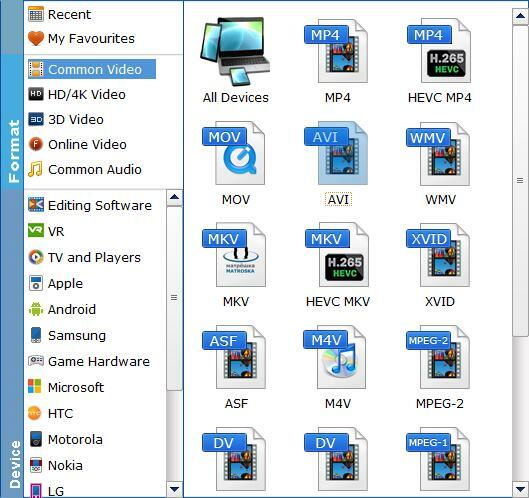 Choose a video format with smaller size: Click Profile (located below where your files are displayed) and select a format for conversion. for example, MP4, WMV or FLV whose size is smaller than others. 3. 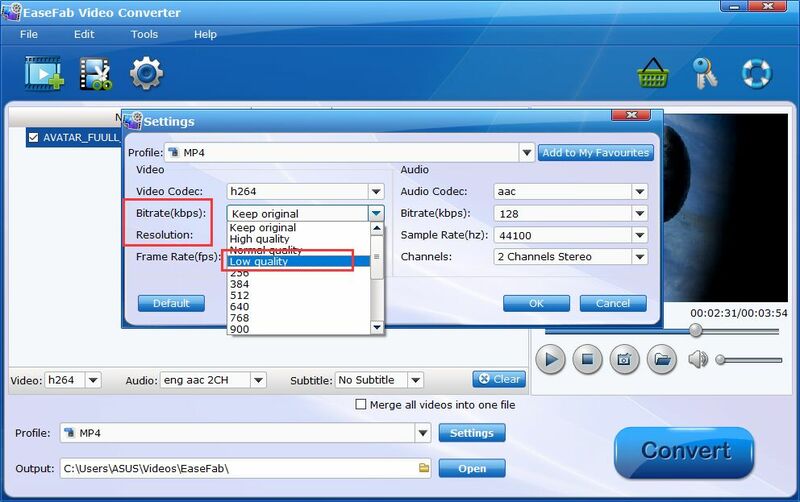 Adjust video parameters: To further shrink the video size, click the Settings button to enter the Settings window. 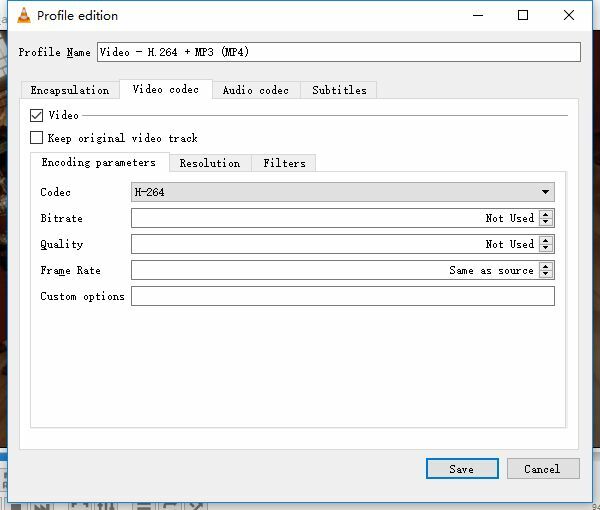 In the window, you can directly select the Low Quality option from the drop-down list of Bitrate and let the program resize the size of video immediately (or you can manually change the settings like resolution, bit rate, frame rate, encoder by yourself). Note: After reducing the size of the video, the quality of the video will decrease. So you should strike a balance between the size and quality. And the key influence factors of minimizing video size is the bitrate and the resolution. Once you're satisfied with above settings, the VLC alternative will start reducing video size by a simple click on the big Convert button. So if you want to make VLC reduce video size and reproduce your HD videos without advanced editing requirements, VLC Media Player is a good choice. 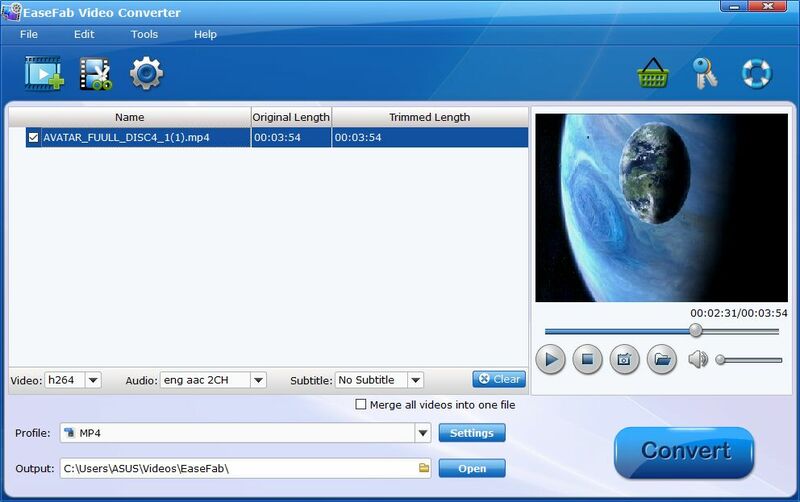 But if you have high-level requirements to reduce video size, we suggest you to use EaseFab Video Converter.